last week. a temperature drop and no humidity. perfect for being outside. mary’s love for elizabeth is pretty intense at times. I often have to say:"mary, give elizabeth a little space." We have the too much love in our house sometimes too. I look forward to coming back and poking around some more! 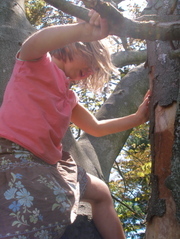 The “little climber’s” skirt is GORGEOUS! As is Elizabeth’s smile! What a happy baby. Can you blame her? 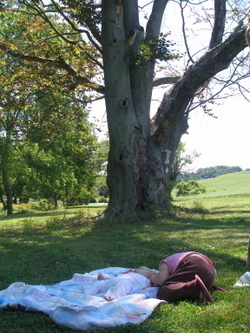 Chilling on a quilt under a tree its the life! 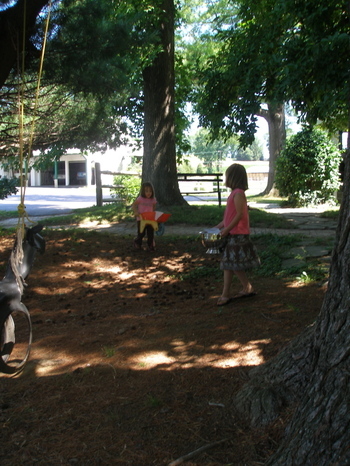 I can’t believe how big Elizabeth is getting. I hope you enjoyed last week’s no humidity, because it’s back in full force this week. Aw! These are really sweet pictures. Absolutely adorable…glad the weather is cooler for you. what a beautiful post.can I come live there too? Your children are blessed to have such a life. Bravo to you for creating it. 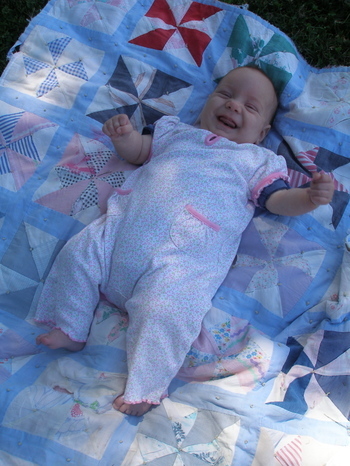 I love that photo of Elizabeth on her quilt… so happy! I love it when the babes start giving those big grins. elibibip smiles now?!?!? i miss her (and the rest of you too!). will she still sit with me for hours when i get back? That photo of Elizabeth smiling under the tree made my heart melt! How adorable. What a happy baby! You can tell that is true joy. Love those pics. 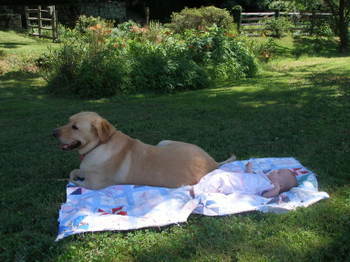 Looks like a perfect day in the garden. 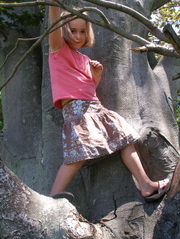 My daughter, who is also an avid tree climber, has the same skirt! We have more than our first name in common.